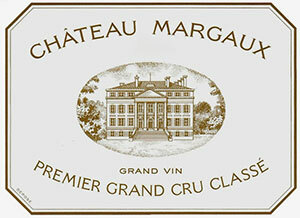 The first-growth 2005 Château Margaux (85% Cabernet Sauvignon, 15% Merlot), a lavish fragrance of blackcurrants, velvety new saddle leather, spring flowers and spice soars from the glass. The wood is already totally concealed beneath the cascade of fruit in this medium to full-bodied, pure and majestic wine. This concentrated, dense, but nevertheless strikingly elegant, multi-layered wine has a finish of 45+ seconds. It builds incrementally to a crescendo and finale. This is a stunner that can be approached already, but promises to be better in another 5-10 years and last at least 25 or more years. The Château Margaux 2005 has a nigh perfect bouquet with brilliant precision and amazing focus: mainly black, mineral-soaked fruit that just gets more and more intense in the glass. That graphite element become more intense with aeration and renders it almost Pauillac in style. The palate is effortless with sumptuous ripe tannin, perfect acidity, layers of sensual ripe red fruit with a precise mineral finish. This is sheer class, a crystalline beauty and the persistence is simply breathtaking.